Your Pleasanton short sale specialist Scott Fuller has some great new market stats for November 2012, including the changes we have seen in the local real estate market over the last year. We’ve seen a huge change in the market this year in 2012. We’ve seen inventory levels go down quite a bit. We’ve seen a lot of buyers increase. There have been buyers out there, especially investors who are cash investors who are now putting a lot of money into the market, paying cash for homes up to – we’ve seen $700-800,000. So here’s some of the statistics that we’ve seen from November, 2011, up until November, 2012 from your Pleasanton short sale specialist Scott Fuller. In November, 2011, there were 99 active listings. Fast forward one year from then on November, 2012, only 45 active listings. So a lot less inventory on the market. We’re certainly seeing that everywhere. When buyers put in offers on properties, they’re seeing the same thing, too, a lot of competition. People bidding over the asking price. Multiple offers are very, very common. The number of properties sold in November, 2011, there were 40 properties sold. 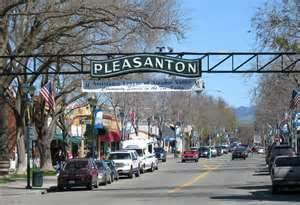 November, 2012, there were 45 properties sold in Pleasanton. The months of supply, which is the amount of time that if you took all of the existing listings on the market how long it would take them all to sell, or I would say, go pending, month’s supply 1.8 months for November, 2011, and then November, 2012, reduces down to .8 months, so not even one month to get rid of all the inventory on the market into a pending status. Median home price, relatively the same, about $645,000, and the days on the market about 62 days. So, again, we’re still seeing a lot of short sales in 2012, and so days on the market tends to stay up a little bit, right around that 60 day mark. If you have any questions about selling your Pleasanton home as a short sale, contact your Pleasanton short sale specialist Scott Fuller with East Bay Short Sale Group. You can also learn more about the services we provide on our YouTube Channel page!